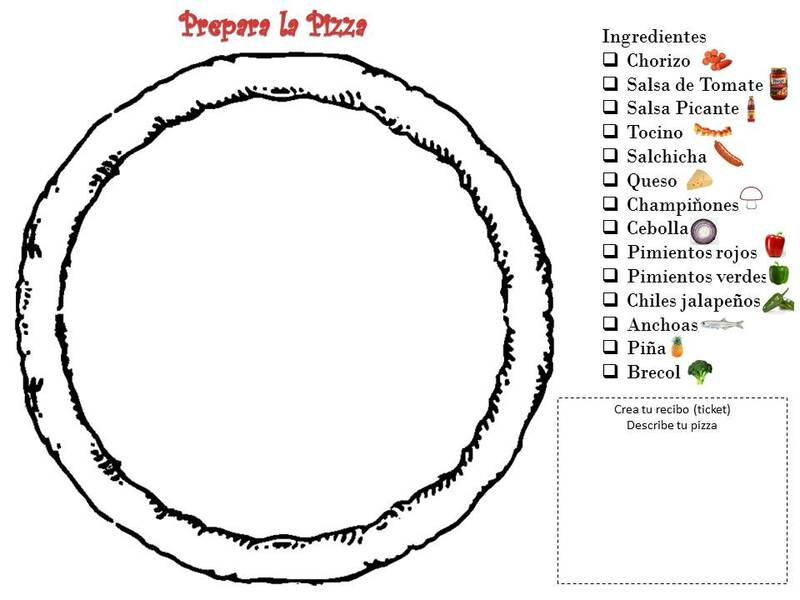 Basically we just reviewed all that we already knew and used http://www.onlinefreespanish.com and found the game “Preparando Pizza”. I simply listed all the vocabulary from the website, found the pics, and gave to the students to prepare their own meal tickets. The older students did a mathematical component using pricing per each “topping”.